Exiting the freeway and crossing over Deer Creek into Nevada City, CA for the Wild & Scenic Film Festival, the first thing I notice is the bike-powered stage hosting a band. The second thing I notice are all the Patagonia clad people. Every January for the last 13 years, filmmakers, policy shapers, activists, artists, biologists, hydrologists (every kind of -gist, really), raft guides, climbers, skiers, and all outdoor-loving, adventure-seeking, green-space saving kinds descend on this small Sierra Nevada town in an eclectic sea of poly-pro adorned celebration. As one can imagine, it’s a raging good time. 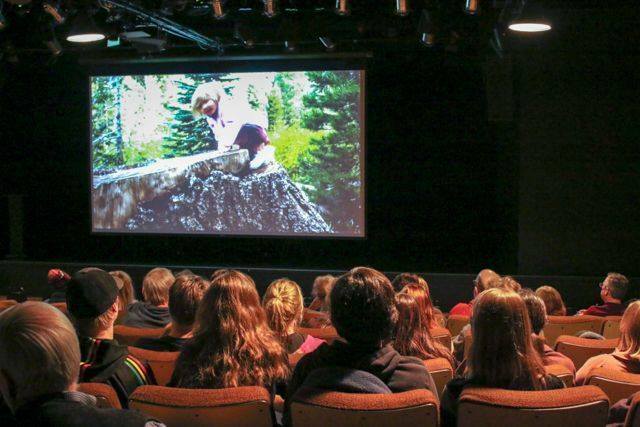 Films are shown, wine and beer are tasted, local artists are highlighted, and everyone leaves with blazing fires of inspiration—and likely a minor hangover. But inspired we certainly are. The thing that brings us together (other than nature-inspired, adrenaline addiction) is our love for the natural environment and the films depicting these places. We wait in anticipation as the various venues around town dim their lights. And then, we soar down a freshly powdered mountain in Alaska with a paraplegic skier, or we ride alongside a gravity defying mountain biker in Scotland as he front-flips over a fence (on purpose). We meet people chronicling our environment and the struggles to save it, telling stories about pushing the limits of human ability, and inspiring people to care as much as they do about the places, animals, and resources we are quickly losing. 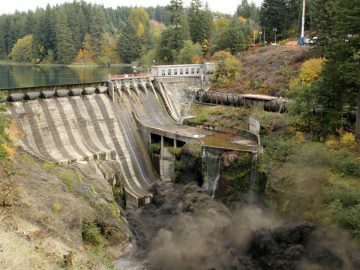 Award-winning films that were among festival goers favorites this year included the highly buzzed about documentary, Valley Uprising, the environmental doozy Sand Wars and People’s Choice winner, Water for Gold. And while I could recommend almost every film I saw, there are certainly a few that stuck out. If you aren’t familiar with Jeremy Collins, his film Drawn will introduce you to his original artwork while he takes a wanderlust-inducing trip to honor a loved one. In Suzanne Crocker’s film, All the Time in the World, which won the Best of the Festival award, you will laugh along as a family of five (with kids ages 10, 8 and 4), moves to the Yukon to live off the grid—leaving behind careers, electricity, phones, running water and even clocks. In OARS own film, River of Eden, you’ll meet local Fijian rafting company, Rivers Fiji, and the guides who have worked to protect one of the most beautiful river corridors in the world, the Upper Navua, by using low-impact rafting trips to support the community and fund the Upper Navua Conservation Area. 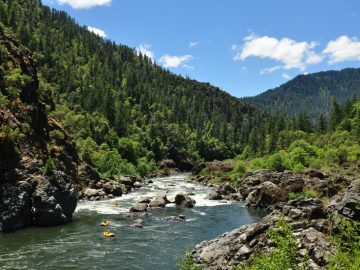 When I look back on my weekend at the Wild & Scenic Film Festival, the films definitely leave a lasting impression, but it’s the stories of the people behind these films that stick with me the most. 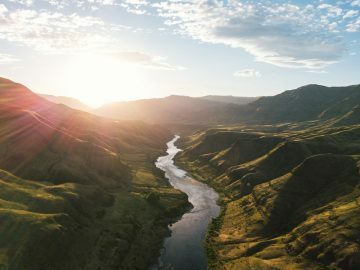 There is a community out there chronicling the fight to protect our rivers, our mountains, our sports, and our ability to explore and discover nature in all of its untouched awesomeness. It’s this community’s approach to humanity, nature and adventure that acts like threads connecting each person to one another, and to the places we call wild. One weekend at a film festival goes by so quickly, but the work being showcased by this dedicated group will be making waves for a very long time. 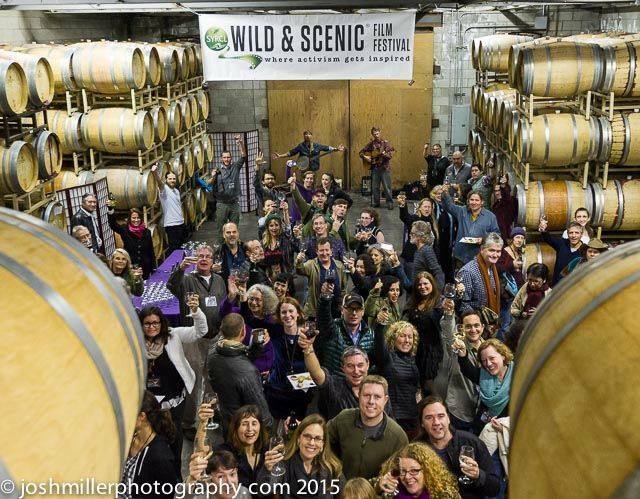 Every year the Wild & Scenic Film Festival is hosted in more than 140 communities throughout the country. 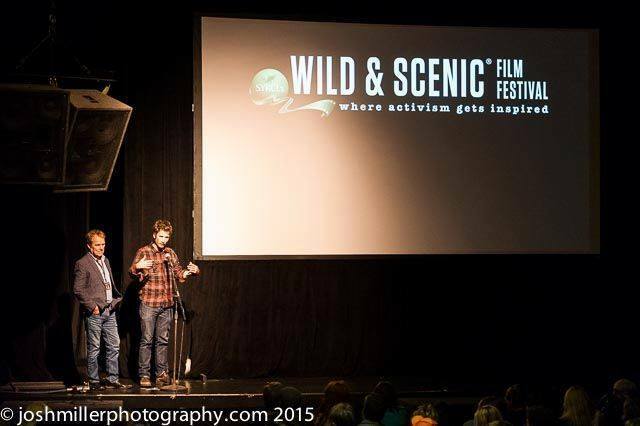 To catch the festival on tour, visit http://www.wildandscenicfilmfestival.org/on-tour/ for dates and locations near you.